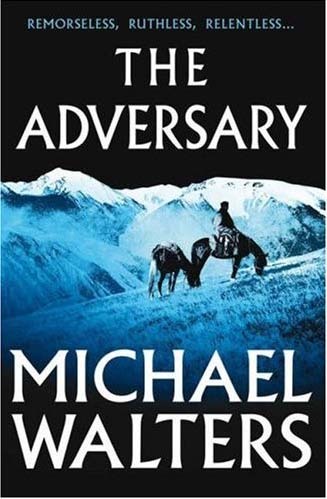 Readers who enjoyed THE SHADOW WALKER, the debut of Nergui, man at the Mongolian ministry, and his mentoree Doripalam, head of the police serious crime unit, will love THE ADVERSARY, set a year after the previous book. The trial of a local oligarch and possible criminal mastermind, Muunokhoi, collapses when it is discovered that some of the prosecution's evidence has been forged. Tunjin, the obese, old policeman who was responsible, is suspended from duty by an exasperated Doripalam, who is all too well aware that Muunokhoi has spent 20 years establishing a criminal network under cover of post-Soviet business respectability. Some of the old mutual suspicion between Doripalam and Nergui is rekindled when the older man is sent to the crime squad's headquarters to conduct an official enquiry into the fiasco. No sooner has Nergui settled himself into his temporary broom cupboard of an office when a woman insists on reporting a "serious crime" to him in person. The woman is Mrs Raadna, the judge in the aborted trial, who turns out to be an old acquaintance of Nergui. Meanwhile, Doripalam is distracted by the case of a missing teenager, whose disappearance is causing a media storm and leading to yet more criticism of the police force. The missing boy comes from a nomad family. His mother believes that the police aren't taking the case seriously enough, but before Doripalam can question her, she is found murdered in her ger (tent), the rest of her family having moved on to unknown parts. The pace of this book is cracking: the action switches between the compromised investigation of Muunokhoi; the search for the missing nomads; and the efforts of the most charming and unlikely hero, the eighteen-stone Tunjin, to escape the hoodlums who are following him and to nail the slimy Muunokhoi. Tunjin's story is delightfully funny, as well as moving, as the failed alcoholic gradually recovers his self-respect. But all the threads of the narrative contain masterful little insights into Mongolian life at the "edge of the world", where East meets West, and where a modern society is struggling to emerge from years of Soviet culture. Eventually, all the threads converge - the apparently separate stories merge into a whole, and there is a satisfactory twist in the story of the missing boy and his mother that provides a nice little punch in addition to the main plot. Michael Walters is a talent indeed - the pages just fly by. I can't wait for the next outing for the elegant, inscrutable Nergui, the principled but doubting Doripalam, but most of all, the engaging Tunjin. Maxine blogs at Petrona: her reviews are collected at http://petrona.typepad.com/petrona/book_reviews.html.